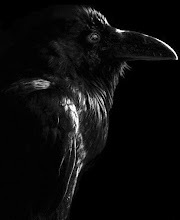 Nevermore: What does Raevyn have in common with Jodie Marsh? An hour ago, my flatmate walked into my room and asked to borrow my computer. I acquiesce, seeing as hers had recently gone spectacularly kaput. Up until one hour ago, I trusted my flatmate. While I sit on my bed, leaving dear cohabitual friend to her own devices, the following exchange plays out. Ginny: "What's your email address?" Ginny *taptaptap* "When's your birthday?" Me - "The ninth of March." Me - "...are you stealing my identity?" Me - "What are you doing?" Ginny - "She really needs to update this site." Me - "Who needs to update what site?" Ginny - "Congratulations, you're now a proud member of the Jodie Marsh fansite." Me - "No! I trusted you!!" "There just isn't another celeb website like it!" That hideously garish woman also known as Jodie Marsh. Dispense some justice. Come get some shoulder when you're done. I want to know everything about lycanthropy! Please get back to me via comment. I like the way you spell Raevyn. Did that just come to you, or was it a sign. I was in stitches reading that, pretty Raevyn bird! Your wit is something I read with a joy that is unparalleled.